Rangers International F.C’ Ghanaian shot stopper, Nana Bonsu, has described as fulfilling for him the recent selection that placed him above others in the group stage of Total Confederation cup 2018/2019 by sports journalist covering the competition. The former Ghana junior international was full of gratitude to his team mates, coaches, management and supporters of the ‘Flying Antelopes’ for giving him the opportunity to serve. According to survey carried out by journalist covering the continental club competition, Bonsu, who had four clean sheets and made several breath-taking saves while Rangers lasted in the competition, earns the right to be selected the best amongst other goalkeepers from other fifteen club sides. 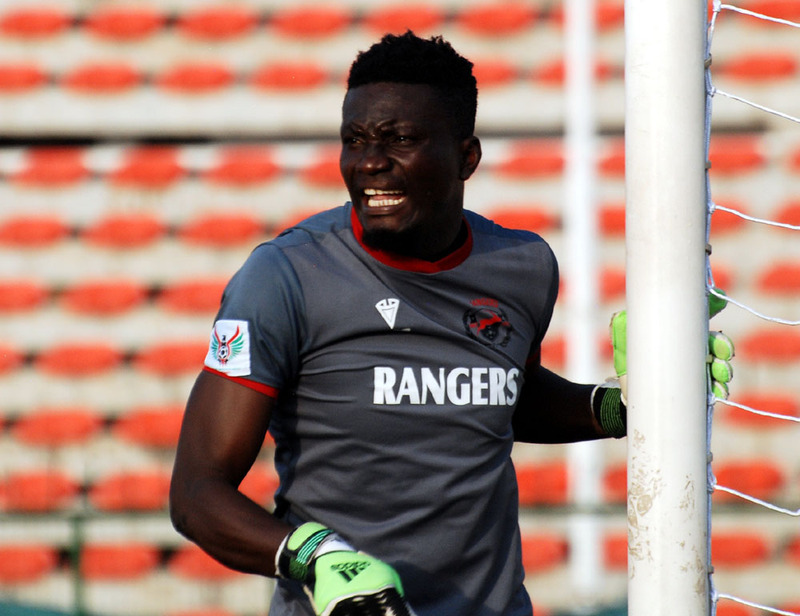 It would be recalled that Bonsu’ heroics between the sticks helped the seven time Nigeria league champions win the 2016 NPFL as well as Aiteo cup winners in 2018 after distinguishing himself for his home town club, Asanti Gold F.C.